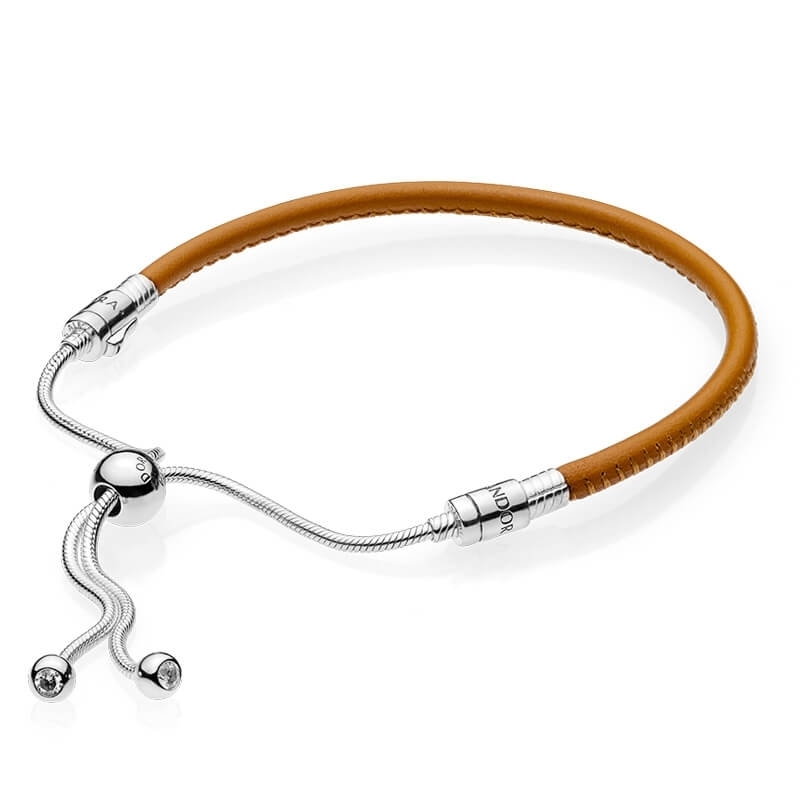 PANDORA Moments Sliding Leather Bracelet, Golden tan. Perfect in it's simplicity, this versatile design is minimalist chic at it's best. Finished in gorgeous golden tan and sterling silver, this bracelet is adjustable, making it the perfect gift too. Add your favourite charms for your unique style combination.